When you run a business it’s important to save money anywhere you can. Unfortunately, that can become difficult to do when there are a lot of variables in your business. A copier lease payment is a set bill, but use of toner and paper can vary often. 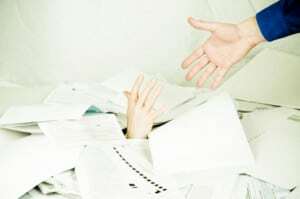 To help you save money and keep track, at Copier Seattle we recommend using document management. Document management services can help you keep track of everything that happens with your copier. Good document management services will help to show waste and help save you money. Document management can help you notice trends that you might not have ever thought of on your own. It can also point out if specific workers are the root cause of waste. Finding patterns can help you save money and make the best deals with copier leasing companies. If you think that you are paying too much for your copier lease then call us at Copier Seattle today. We believe in fair leases that help you get the perfect copier for you.